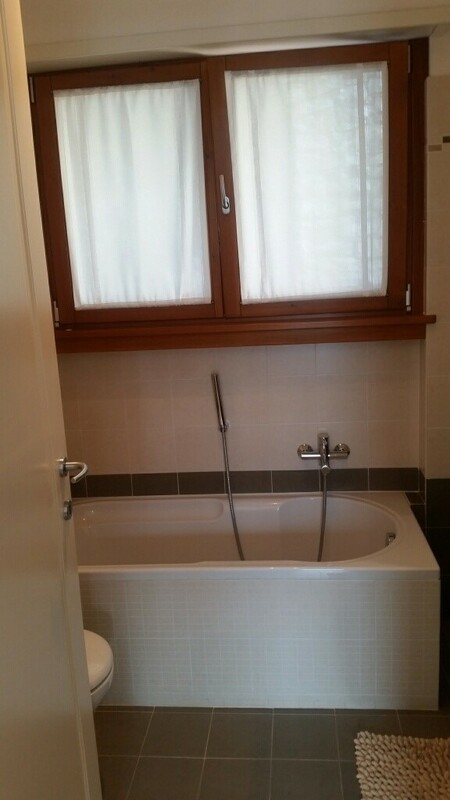 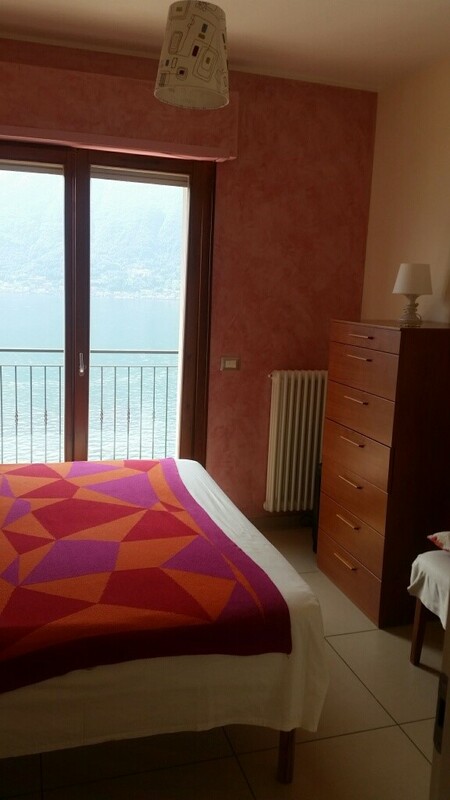 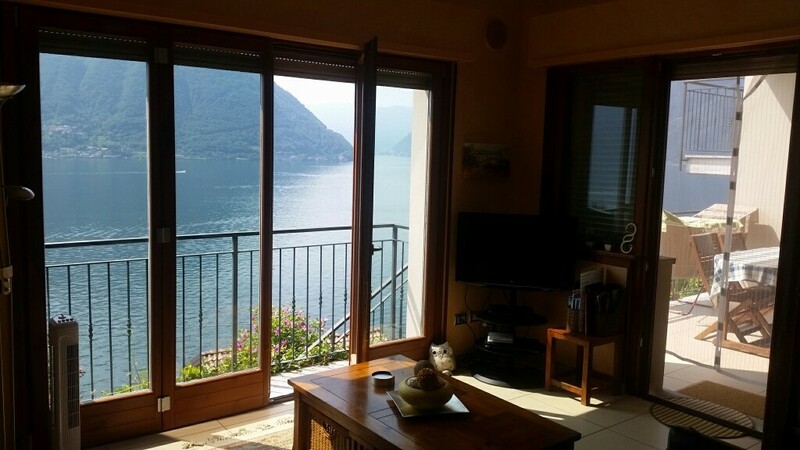 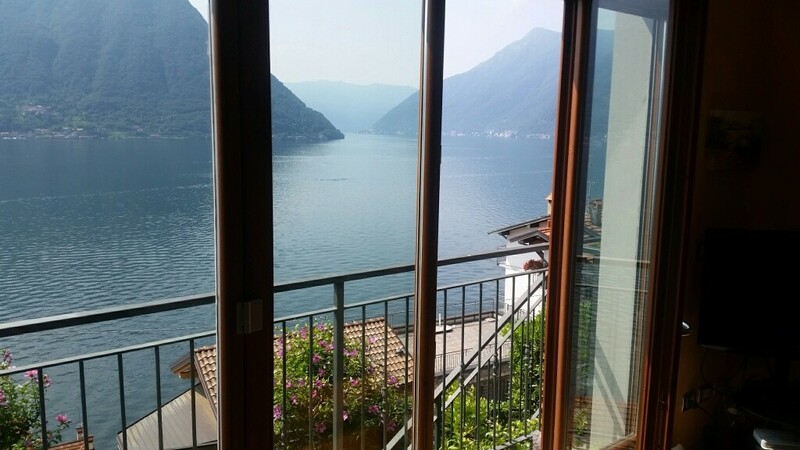 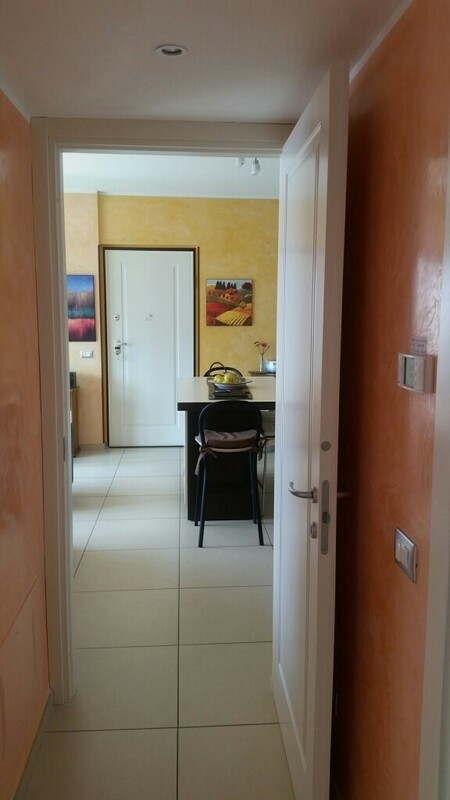 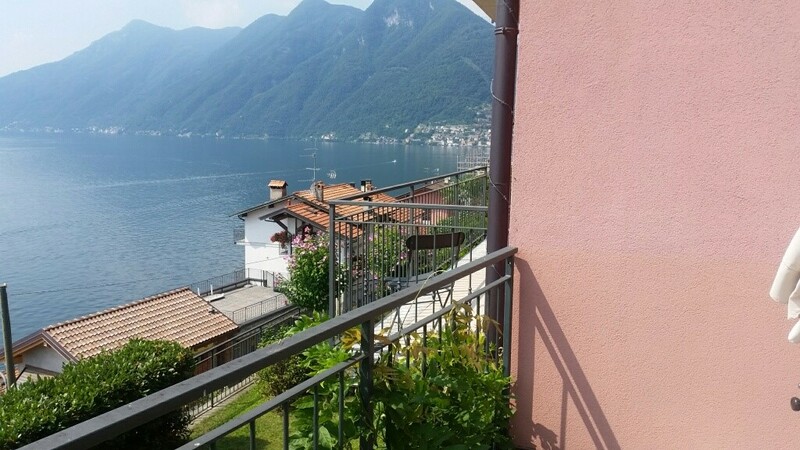 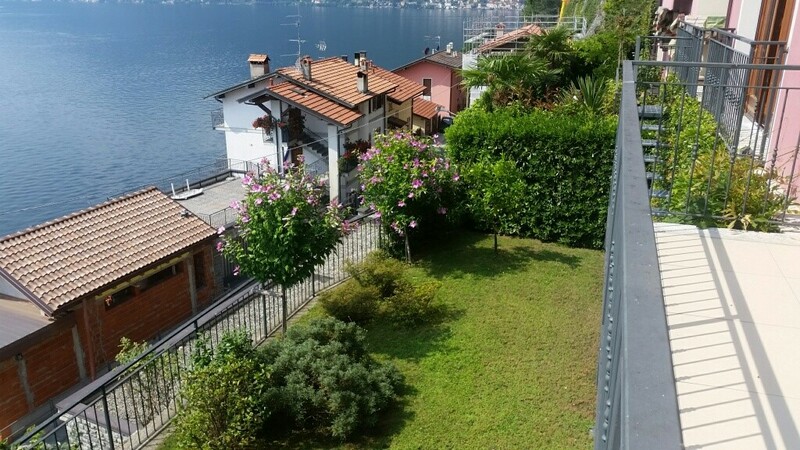 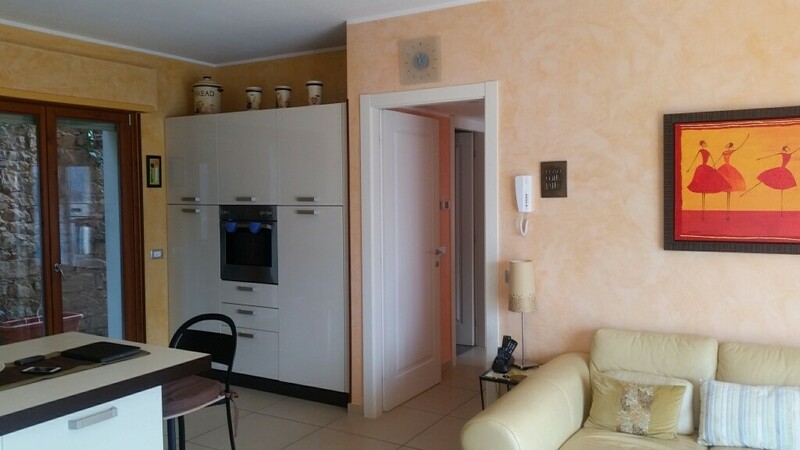 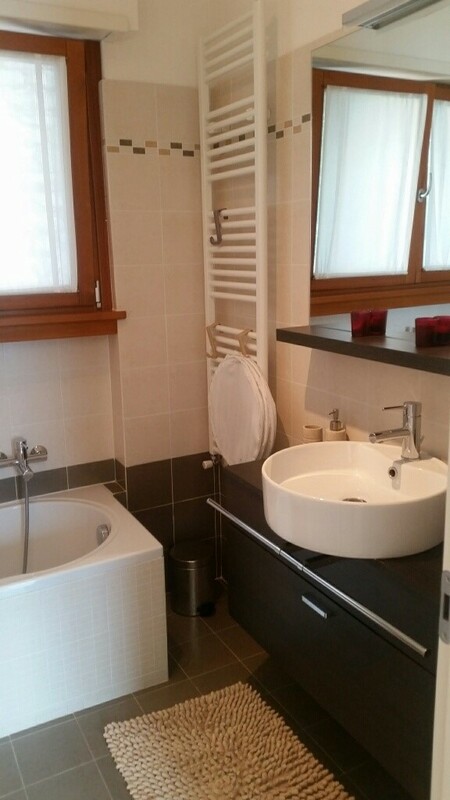 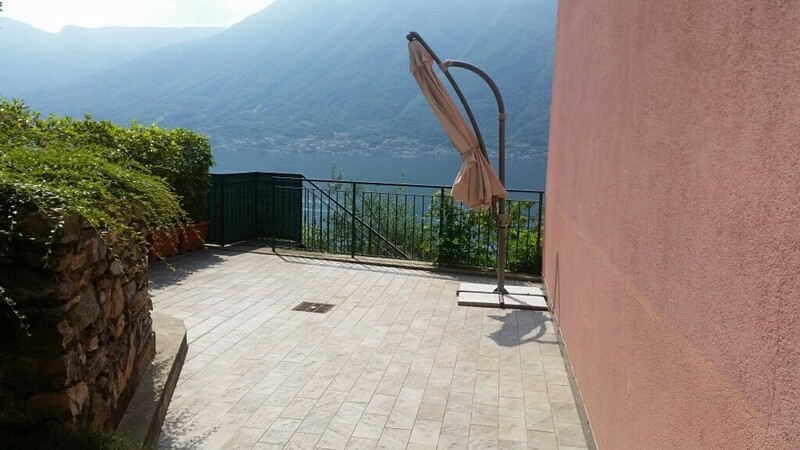 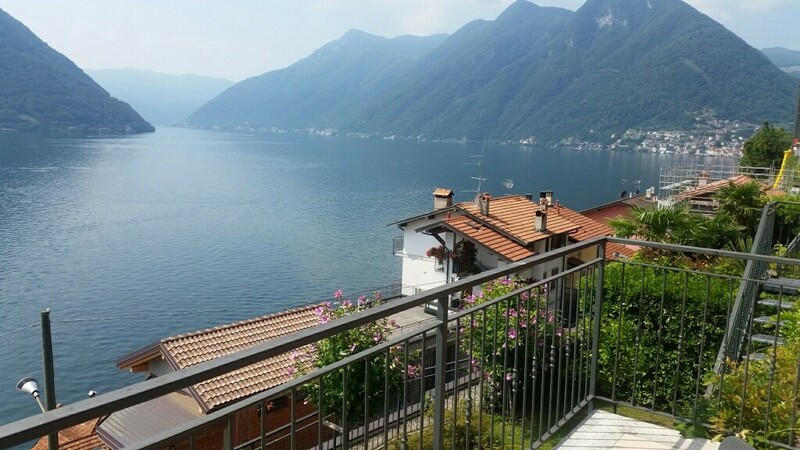 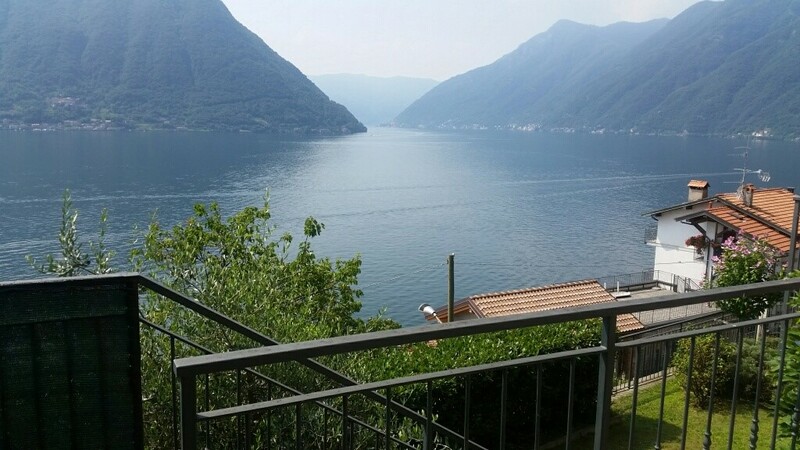 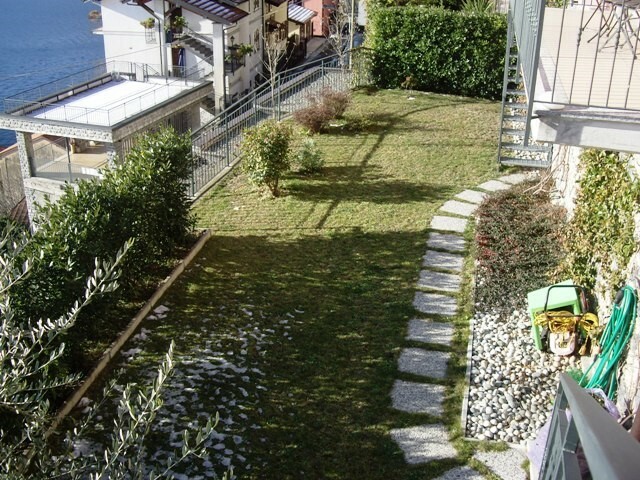 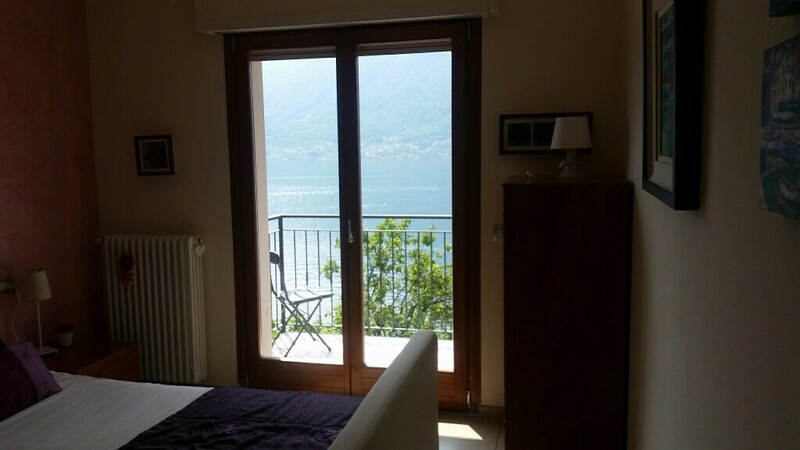 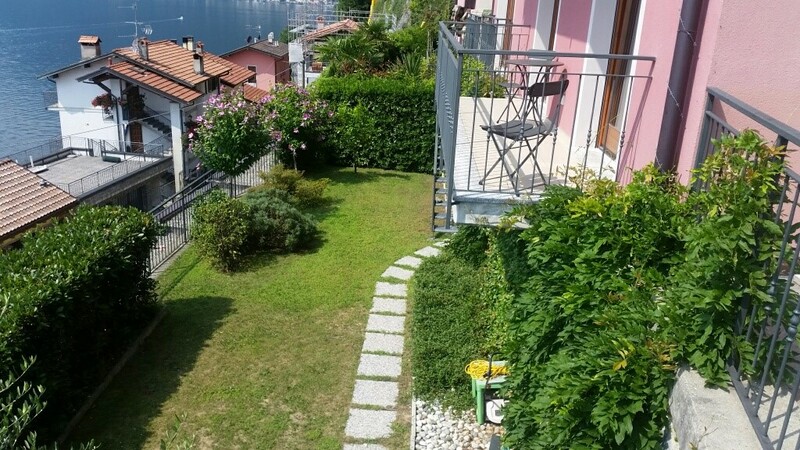 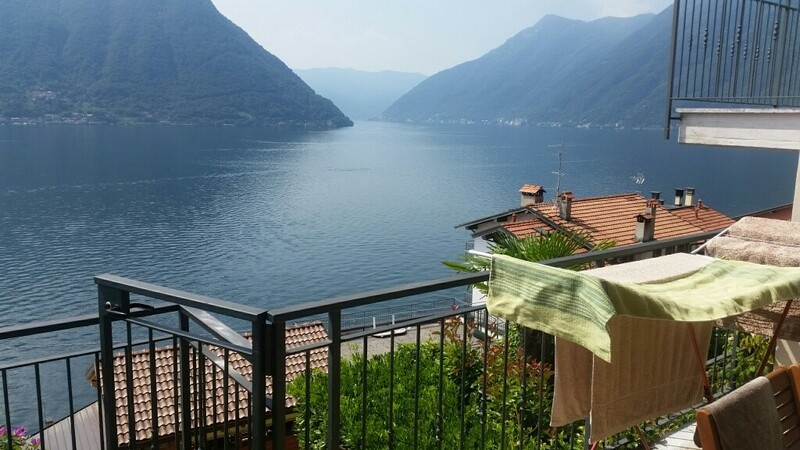 A Luxury two bedroom, two bathroom apartment with stunning lake and mountain views situated in the charming village of Colonno on the shores of beautiful Lake Como just 20 minutes from the City of Como and 45 minutes from Milan. 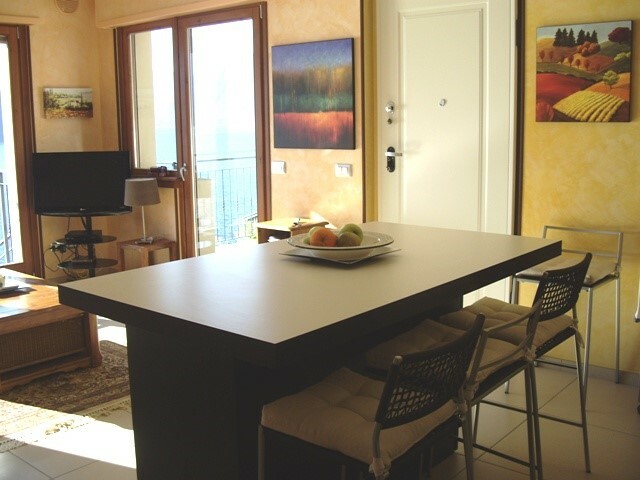 The apartment has been furnished to an exceptionally high standard. 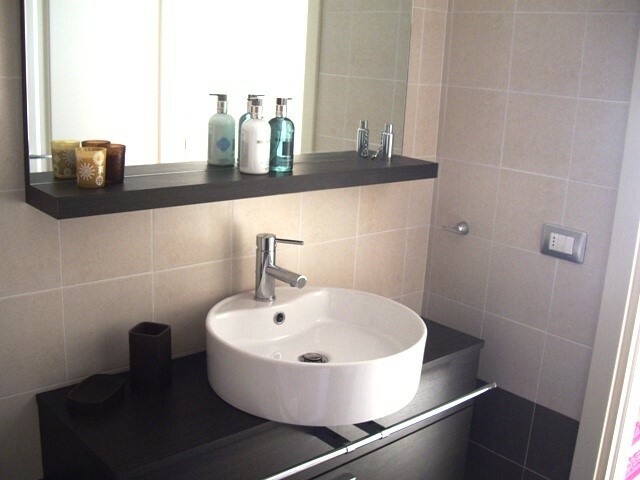 Quality, comfort and attention to detail are the hallmarks of this charming flat. 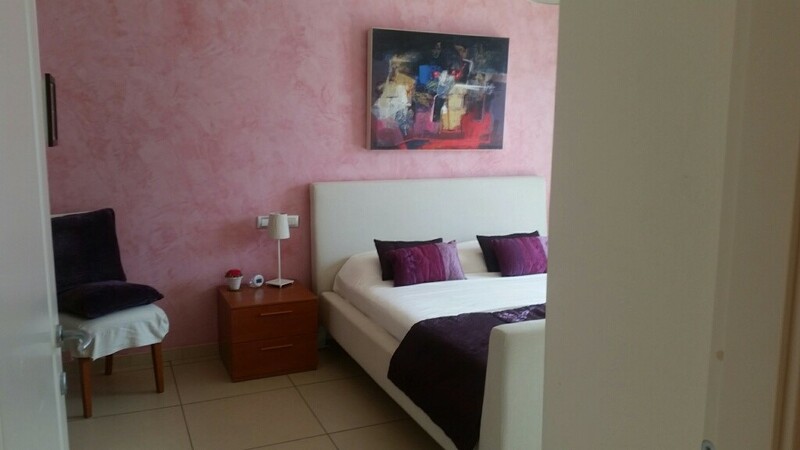 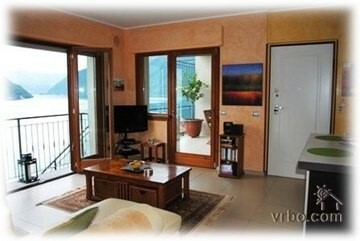 The apartment is air conditioned and has central heating. 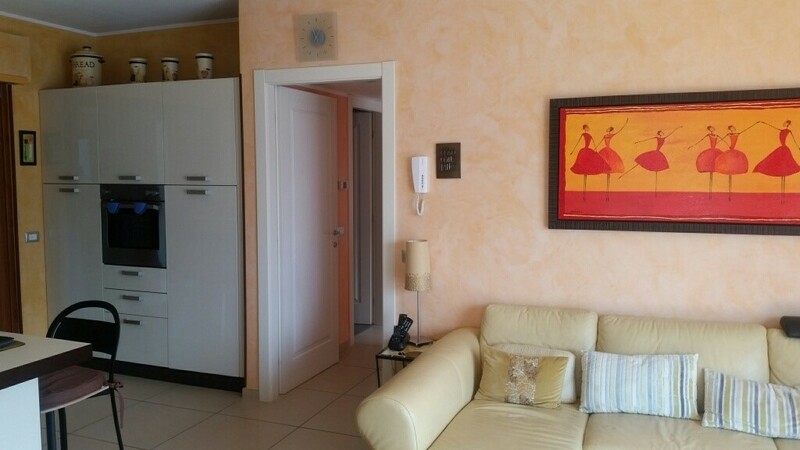 The apartment was built in 2008 and is a ground floor garden flat in a prestigious block of six luxury homes designed as a residential development, arranged in two groups of three with a central lift and named Le Terrazze. 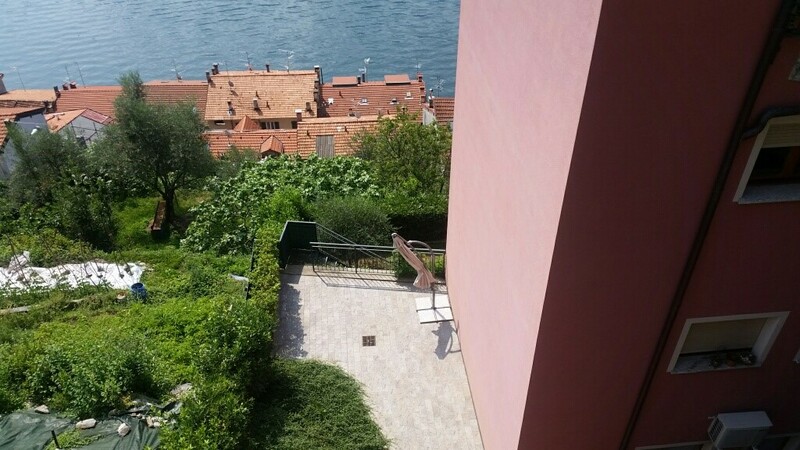 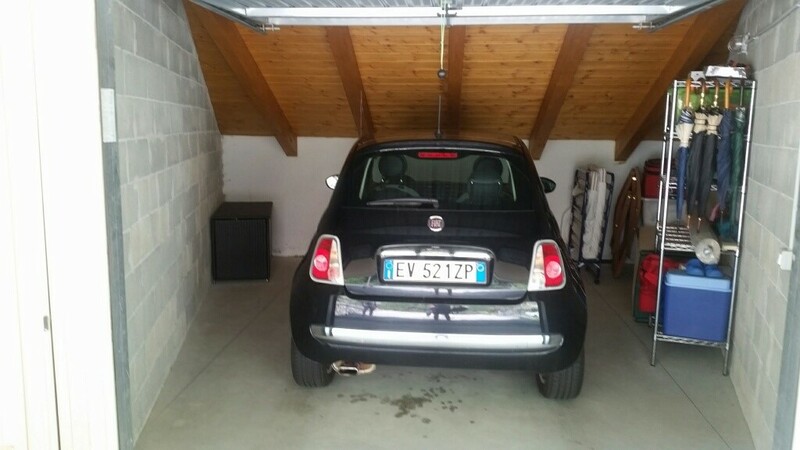 The flat has its own private garage for secure off road parking at the road level and like many lakeside developments, is built on the side of the hill to maximize the views and from hence it gets its name (The Terraces). 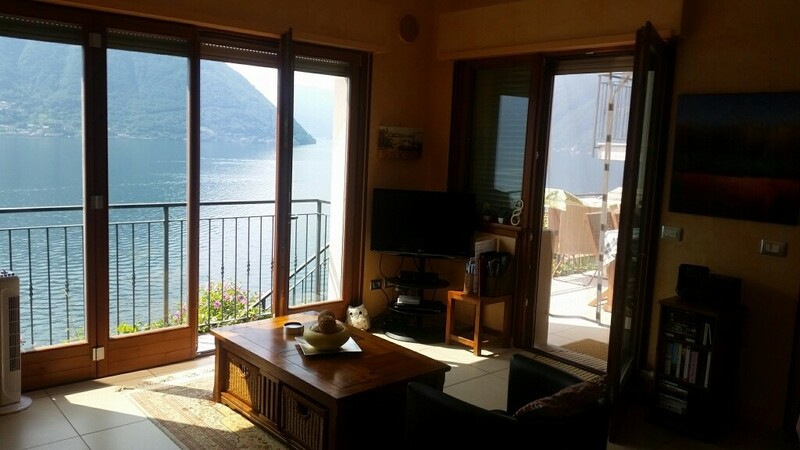 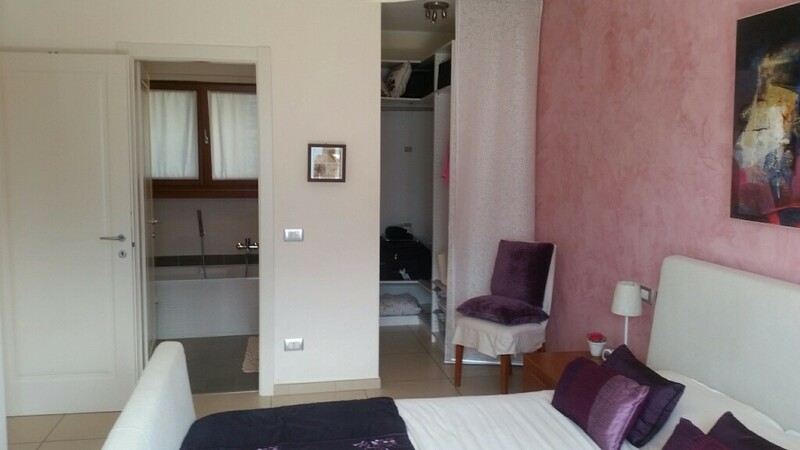 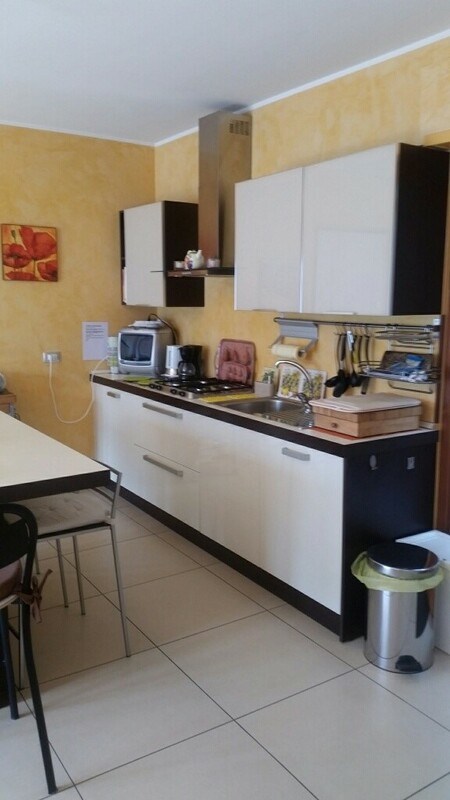 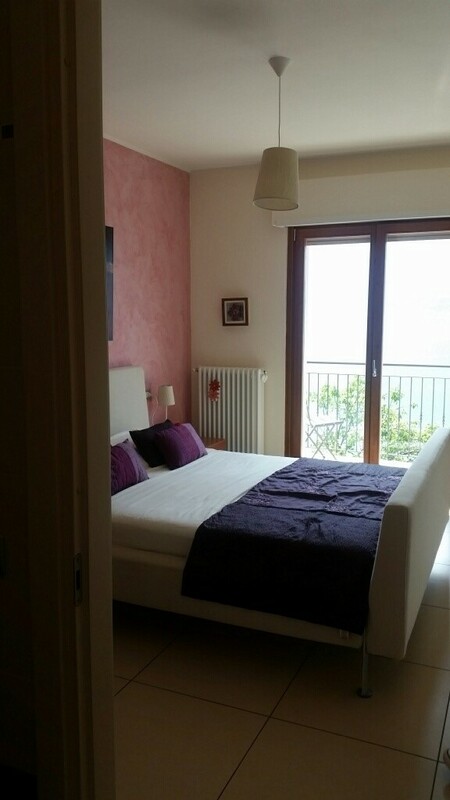 The apartment is just 60 metres laterally and 60 metres above Lake Como and the village, so you get a real sense of closeness. 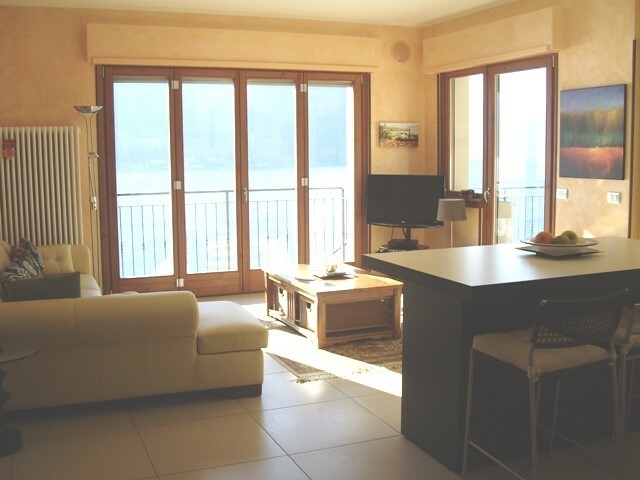 The apartment consists of: living room with 2 sets of French windows: the one on the front with stunning views over the lake and mountains and the one on the side open onto a large terrace and the patio garden, a well equipped open plan kitchen, Guest Bedroom with french windows opening onto the balcony and separate Shower room, Master Bedroom with ensuite Bathroom and walking closet. 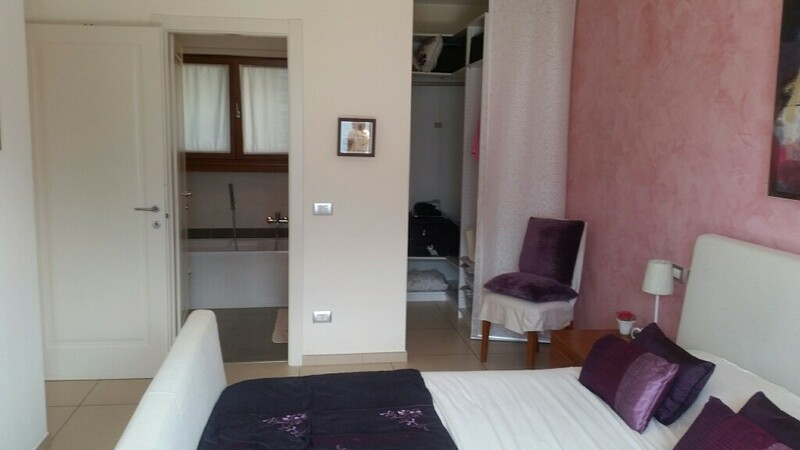 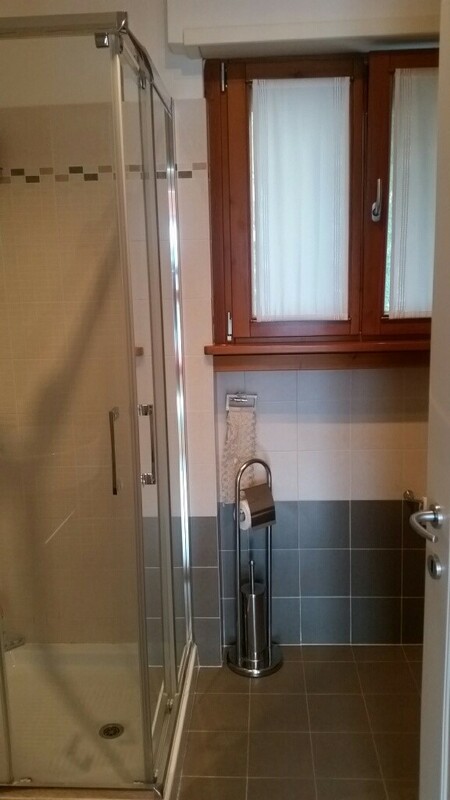 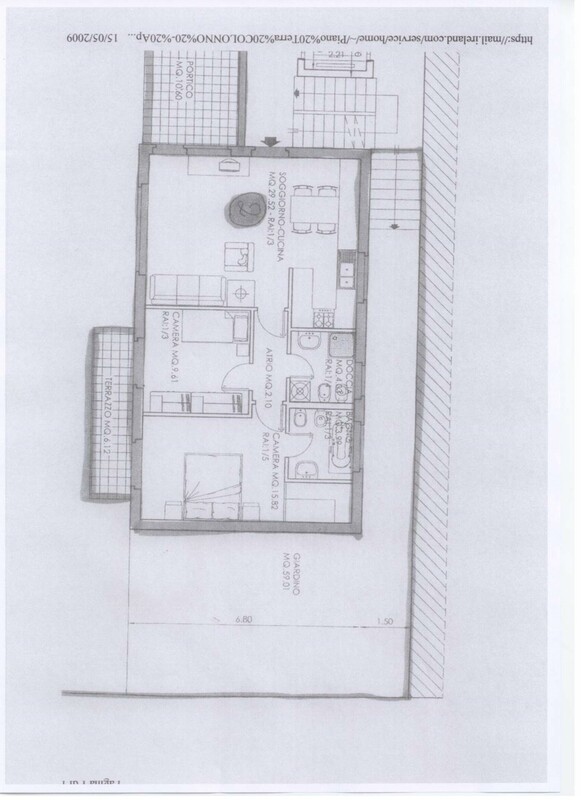 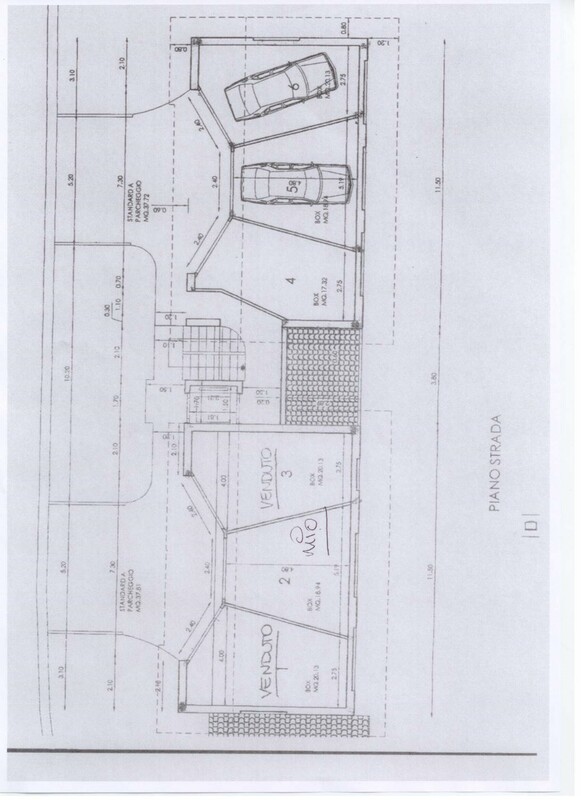 In addition the apartment has an extra room (used like studio) and a cellar at the basement level. 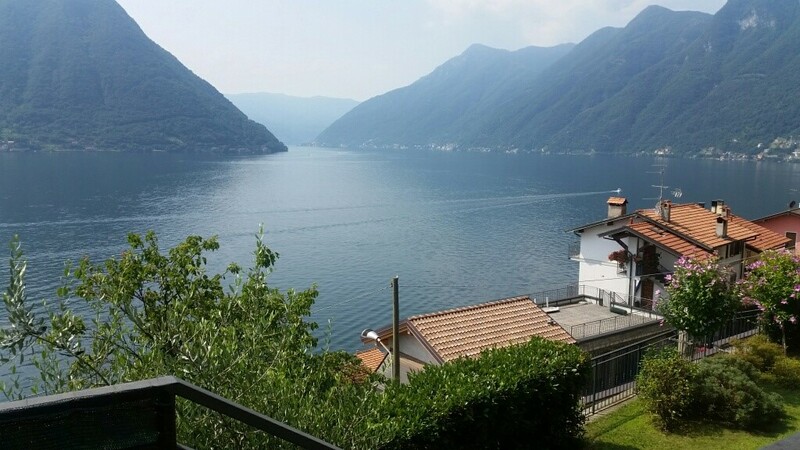 Colonno, which is named after an ancient Greek settlement, remains a traditional Italian lakeside village and it situated 3 km north of Argegno and immediately adjacent to Sala Comacina, with Ossuccio, Lenno and Menaggio a few kilometers further north. 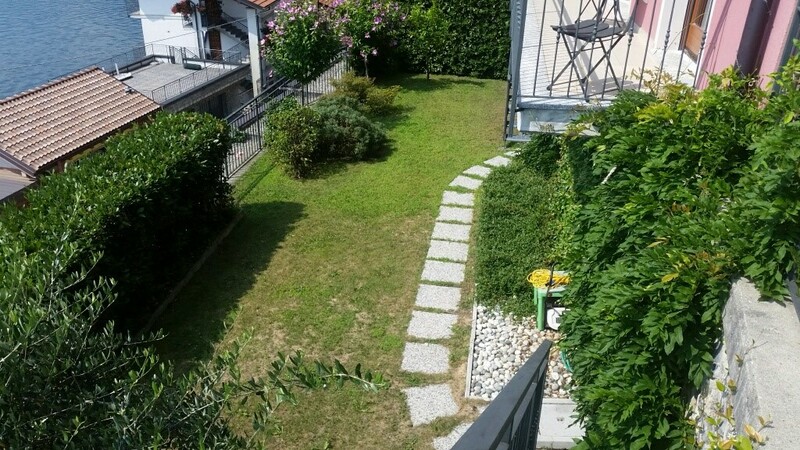 It is 20 minutes from the lovely historic city of Como and about one hour to Milan airports (Malpensa and Linate) and the stylish metropolis itself. 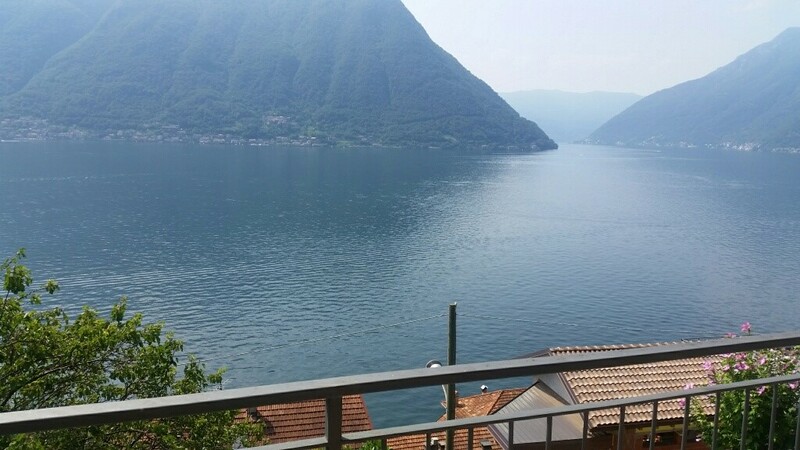 Como is one of Italy's most important centers for the production of silk and has many factory outlets. 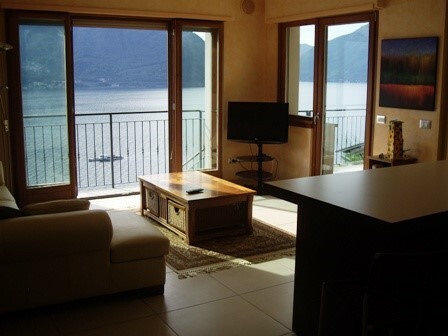 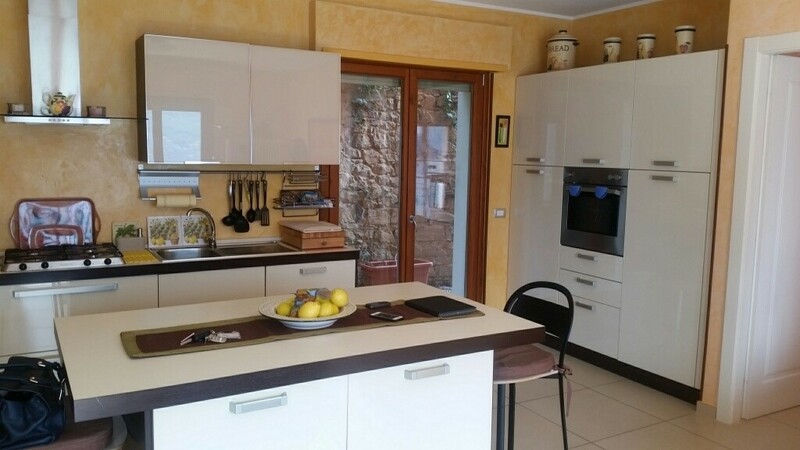 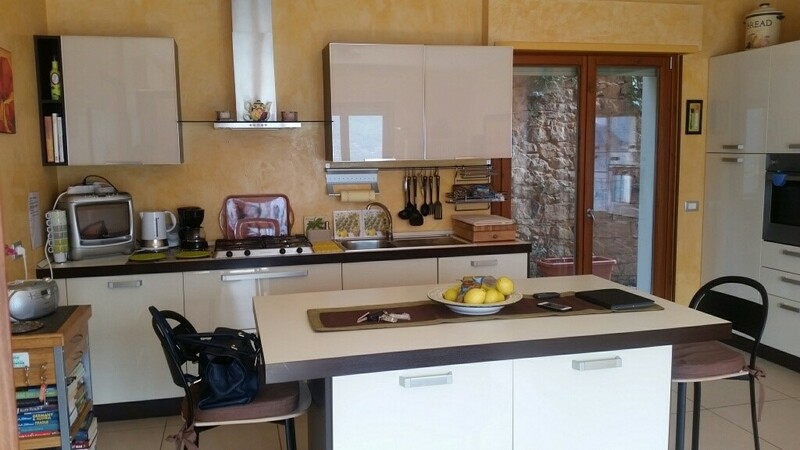 The apartment is situated at the beginning of the famous Greenway di Lago, a beautiful walk through the lakeside villages from Colonno to Menaggio. 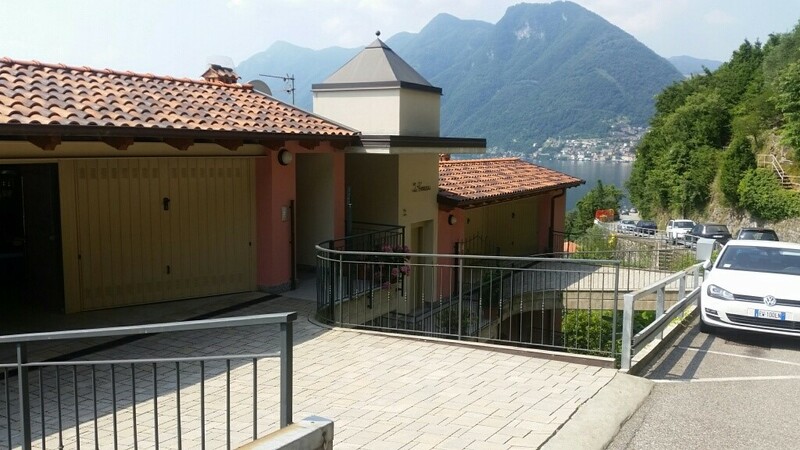 The village of Colonno itself has a very small village shop (bread, milk and basics), two bars and a restaurant. 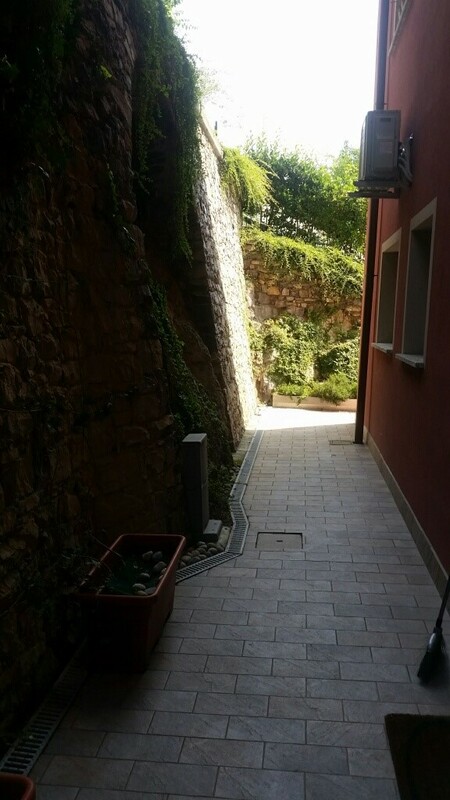 Argegno also has banks with cash machine, pharmacy, pastry shop and a wonderful little bakery. 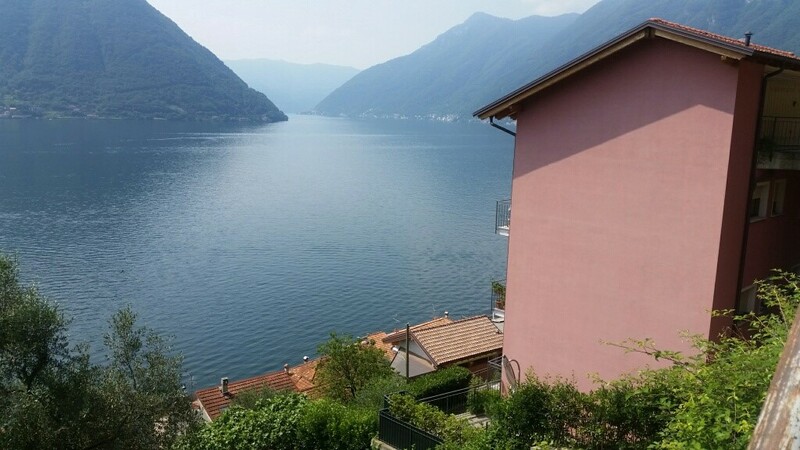 For more extensive shopping including a good quality Supermarket (SIGMA) you need to visit Lenno which is 10 minutes away by car (5.2km). 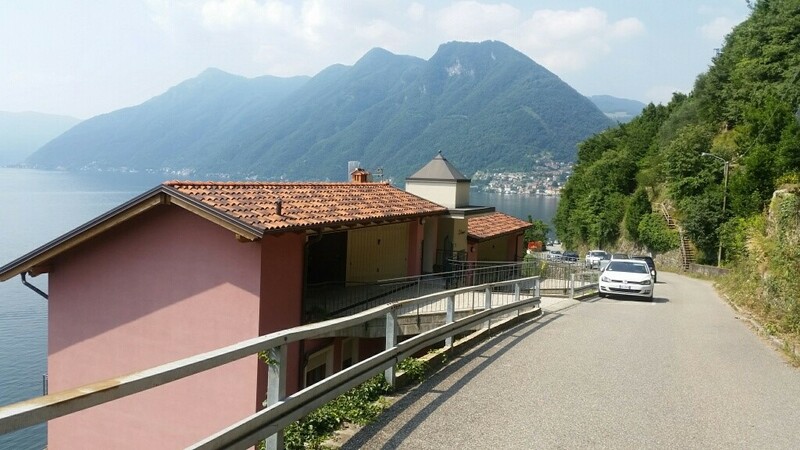 Lenno also has an amazing hardware store (Valde) that sells almost everything you could possibly need as well as banks, florist, pharmacy, fashion boutique and many restaurants.